Noah on Vacation or Working Harder than Ever? The temporal profile of the week before the deluge came is elucidated and the chronological relationship of Noah’s entry into the ark vis-à-vis that of the animals and of the onset of the Mabbûl, is addressed by chronologically connecting specific content of YHWH’s speeches (Divine pronouncements comprising His intentions or predictions and Divine commands) to their later realizations in time and text, employing the concepts ‘vati-chrons’, ‘retro-chrons’, and ‘ipse-chrons’ developed for this study. The first two occur in pairs of two types: vati-chron pronouncements connect to later explicit retro-chron realizations of an event or state; whereas, vati-chron commands connect to both later obedience implied in the general statements of Noah’s compliance and later explicit obedience reports. Ipse-chrons are chronologically isolated. This approach yielded three results: 1) the Hebrew term Mabbûl refers to only the forty days of the transgression of the water; 2) Noah and his family entered the ark after completing the week-long loading of the animals directed to them by YHWH; and 3) their entry may have been in the very presence of the waters of the Mabbûl. One of the more extraordinary weeks in the history of mankind was the one leading up to the Flood.1 While attempting to elucidate the general chronological profile of the events of this week, we also hope to answer two specific significant questions. First, what was the chronological relationship between Noah’s entry into the ark and that of the animals? To put it plainly, what were Noah and his family doing during this week? Were they passively waiting for the coming of the Mabbûl?2 Was Noah sipping his latte as it were, getting a tan in the beautiful sunshine, and getting in a few rounds of miniature golf? Or was he (and his family) actively loading the animals? And second, what was the chronological relationship between Noah’s entry into the ark and the onset of the Mabbûl? The uniqueness of the biblical Hebrew (BH) term Mabbûl, which is commonly translated Flood, cannot be gainsaid. It is found only in Genesis 6–11 and Psalm 29:10 , and only refers to the Genesis Flood and not to any other flood. Moreover, neither the word which refers to an ordinary flood elsewhere in scripture, שֶטֶפ, nor its cognate verb שטפ “to wash away” or “to flood” occur in the Flood account. But etymology and usage can only take us so far. We need a dose of realia. That is, before we go any further, we need at the outset to clarify what the BH term actually refers to. Whereas Flood in creationists’ parlance is used to refer to a part of or to the entire inundation (e.g., the 40 days of the transgression of the water or the entire duration of the water’s presence on the land), the BH word in the Flood account Mabbûl, which is most often for convenience translated Flood refers—as I will argue—only to the forty-day transgression of the water. Let me make three points to defend this assertion and follow these up with an implication. First, we are told in Genesis 9:28–29 that Noah lived 350 years after the Mabbûl and his total lifespan was 950 years. As with the rest of the antediluvian patriarchs Noah’s total lifespan was calculated by adding the additional years he lived after a significant event to his age at the time that event occurred.3 If the Mabbûl were to refer to the entire period of the inundation, which lasted a year or more, then 8:13–14 is informing us that the Mabbûl would have ended in the 601st year of Noah’s life. So adding 350 to 601 should yield his total lifespan, namely, 951 years. But that contradicts 9:29 ; he lived a total of only 950 years. We must reject therefore the assumption that the Mabbûl lasted for a year or more. And this leads to the second point: the explicit statement of the text itself taken at face value militates against the “entire period of the inundation” idea. How long was the Mabbûl on the earth? We are told precisely how long in 7:17a : the Mabbûl was on the earth for forty days.4 Thirdly—although, not as definitively as the first two—the strict distribution of the term Mabbûl, present in the description of the onset of the water, absent in the description of the regression of the water, and present again in YHWH’s promises to never again bring the Mabbûl to destroy all flesh, bolsters the idea advanced here. And now the implication. If the topic of 7:23a is the Mabbûl, that is, if the subject of It blotted out all living beings . . . refers to the Mabbûl, then because it lasted only 40 days, it blotted out all land dwelling life which was not in the ark in that 40-day period. With this clarification in mind, we can now move on to the matter at hand: a chronological analysis of the week before the Flood. In order to understand the sequence of events that occurred that week we must lay some preliminary groundwork as to the characteristics of the biblical account which inform our task, because it is an amazingly intricate passage of Scripture. The first, and most striking, chronologically significant characteristic is that this remarkable text recounting the second great judgment YHWH imposed on mankind5 frames the account with five fixed dates: the beginning of the Flood ( 7:11 ) on 600/2/17,6 the date the ark ran aground ( 8:4 ) on 600/7/17, the date the mountain tops appeared ( 8:5 ) on 600/10/1, the date the water had dried off of the land to a certain extent and Noah removed the cover of the ark ( 8:13 ) on 601/1/1, and the date the land was completely dry ( 8:14 ) on 601/2/27. Likewise, it mentions specific spans of days several times each: seven days (four times), 40 days (four times), and 150 days (twice). Any analysis of the chronology of the Flood must start at this point and also take into consideration the chronological information given about Noah in 7:6 ; 9:28–29 , namely, that he lived for 350 more years after the Mabbûl ended (the Mabbûl occurred in his 600th year of life) and the total years of his life were 950 years. The second germane characteristic is that the chronological sequence does not always match up to the textual sequence; that is, the text is not ‘iconic’. This is due to at least three factors: (1) the prominent Hebrew narrative form wayyiqtol—contrary to the conventional understanding among grammarians— does not mark sequence (neither chronological nor logical)7 and thus allows for simultaneity and dischronologization;8 (2) a linear chronological presentation may not have suited the author’s obvious purpose to contrast Noah and his family with the rest of mankind and to center YHWH’s remembrance of Noah, his family, and the animals on board the ark in the overall text;9 and (3) the narrative contains purposeful repetitions.10 The third characteristic is that the text is highly structured. Chiasms and inclusios large and small occur,11 interchanges are found,12 and introductory encapsulations, elaborations, and summary statements present the story at important points13—to mention a few.14 And the fourth is that the text is divided between Divine speeches and narrative stretches. YHWH’s speeches are of two varieties: those to Himself and those to Noah. The former consist of specific pronouncements about the future. The latter comprise a combination of specific future pronouncements (anticipating fulfillment) and commands (demanding compliance). The narrative stretches—among other things— report these fulfillments and Noah’s obedience. The fifth and last characteristic to be noted here is the author’s technique of contrasting the rest of mankind with Noah by switching back and forth between YHWH meting out His judgment to all of mankind except Noah and his family, who were recipients of the Divine favor extended to Noah. The result of all these characteristics is that the Flood account is structured as parallel panels which do not necessarily follow one another chronologically, but rather, present different facets of the same event, with later parallel panels providing us more information.15 Nevertheless, concomitant with this characteristic is that these panels as a whole are grouped into a large chronological schema comprising four sequential episodes (as the following discussion will demonstrate): Pre-Flood, Transgression of the Water, Regression of the Water, and Post-Flood. The episodes in turn are divided into scenes, which are broken down into paragraphs and sometimes even smaller units, and often conclude with a report of Noah’s or the animals’ (over whom he was sovereign) complete obedience to everything YHWH had commanded him ( 6:22 ; 7:5, 9, 16 ). Moreover, these episodes generally relate to one another according to three time lines: the first is Scripture’s record of YHWH’s pronouncements about the future and His commands to Noah in the Pre-Flood episode; the second is the record of these pronouncements being fulfilled and commands being obeyed in the next two episodes; and the third is the record of YHWH looking back retrospectively at the first two episodes in the Post-Flood episode. But for our purposes we need a finer grid, in that we are interested in connecting YHWH’s individual statements (both Divine pronouncements of what He shall do or what shall happen and Divine commands) to specific fulfillments of these further on in the Flood narrative and usually later in time and differentiating these two types, so that we can address the seeming multiple entries into the ark and other putative problems. To explore and then rigorously describe the precise chronological relationships of such single events to their fulfillments with respect to the three records in Scripture, we originated the concepts of ‘vati-chrons’, ‘retro-chrons’, and ‘ipse-chrons’.16 We define a vati-chron as a verb or verb phrase in Divine speech which refers to a future fulfillment of a Divine pronouncement or a future report of Noah’s obedience to a Divine command. We call these fulfillments retro-chrons, which are linked to specific vati-chrons. Thus, as vati-chrons look forward to specific retro-chrons, the latter look back at specific vati-chrons. In order to ascertain if the text is reporting a fulfillment of YHWH’s statements, it is important to distinguish between two types of vati-chrons, which differ with respect to how they are realized (i.e., fulfilled) and thus what constitutes a pairing retro-chron. The first type, Divine pronouncements, do not require a response from Noah; only the second type, Divine commands, do. The former are realities that happen because YHWH has said they shall happen; the latter happen when Noah obeys a Divine command. By the same token, subsequent general statements of Noah’s obedience such as Noah did according to all which God commanded him. Thus, he did ( 6:22 ) are only linked with Divine commands from earlier in the text (note the phrase which God commanded him); they are not connected with earlier specific future pronouncements. Moreover, the two types differ morphologically in that the Divine commands in this text appear only as imperatives, wəqatals functioning as imperatives, or modal yiqtols.17 Nevertheless, it is not that simple. The challenge is that wəqatals function in other ways as well, as do yiqtols. In which cases both forms would represent Divine pronouncements. Hence, we shall perforce for our purposes have recourse to additional means besides morphology to differentiate the two types. As a result of these two different types of vati-chrons, we also recognize two types of vati-chronplus- retro-chron pairs: type one are specific future pronouncements of YHWH, such as I even I am about to cause the Mabbûl to come ( 6:17 ), which was fulfilled in the retro-chron the Mabbûl came, water upon the land (in 7:6 ). Conversely, type two are commands of YHWH, for example, Enter the ark ( 7:1 ), which was fulfilled when Noah obeyed. A retro-chron linked to 7:1 is the report Noah, his sons, his wife, and the wives of his sons entered with him into the ark (found in 7:7 ). Ipse-chrons, however, are completely different: they are chronologically self referencing, such as those Noah’s interaction with the raven and dove comprises ( 8:6–12 ), in that they neither look forward to future fulfillments of either type, nor do they look back in time and text; they are self contained. To illustrate: you shall enter the ark is not a type two vati-chron, that is, it is a not a Divine command demanding obedience; it falls, rather, under the category of type one vati-chrons, which are Divine pronouncements about what shall happen, not what Noah has to do. Thus a non-specific statement about Noah’s compliance does not imply that he entered the ark at this point. In other words, it is not a retro-chron at all. Rather, fulfillment of type one must be reported explicitly. On the other hand, with type two vati-chrons, Divine commands, such subsequent statements do imply that he acted in the way specified in the prior commands and consequently are retro-chrons. We should note, however, that these are not the same as explicit descriptions of Noah’s actions, which usually follow the implied ones further on in the text. Before we conclude this section, we need to make two additional comments on vati-chrons and retro-chrons. First, only one retro-chron will report the original realization of a given vati-chron. This does not preclude however the subsequent occurrence of others which refer to the same vati-chron and thus reprise the original retro-chron, and also furnish new information.18 For example, 7:5 is the original retro-chron for enter the ark (7:1), in that being a general statement of Noah’s obedience which follows the command to enter, it implies his entry. Nevertheless, 7:7 and 7:13, both explicit statements of his entry, reprise the original retro-chron of Noah’s entry and add that it occurred in the presence of the Mabbûl and on precisely what date, respectively. And second, vati-chrons themselves can reprise earlier ones and, as with retro-chrons, always specify new details to be fulfilled. Such is the case with YHWH’s repeated pronouncements of judgment to come, with each additional vati-chron revealing more of what will happen: blot out; later, by the Mabbûl; even later, only one week to go; etc. 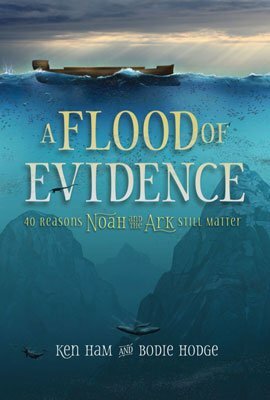 We must begin our investigation to ascertain when Noah and his family entered the ark in relation to when the animals did by going back to the Pre-Flood episode and examining paragraph one of YHWH’s second speech, His first speech to Noah, in which He declares His intentions and instructions. We do not have to go all the way back to the beginning of this speech—although we will on occasion refer to earlier points therein—we can start with YHWH’s first mention of the term Mabbûl ( 6:17 ). Although earlier in the narrative, in the original vati-chron of His declaration of judgment ( 6:7 ), YHWH decreed that He would blot out man and the land dwelling animals because of man’s relentless evil ( 6:5 ) and then told Noah of His intentions in a reprise of the original vati-chron ( 6:13 ), He did not specify at that time how He would do so. And as far as Noah was concerned he would not have known at this point that the impending doom did not apply to him, because it seemed so universal in scope. Nevertheless, he may have reasoned that YHWH would not have told him of His plans if He was going to destroy him. Then YHWH instructed him to build a large structure and waterproof it ( 6:14–16 )—to what end he could not have known. Even more now he might have concluded that YHWH would not have given him these elaborate instructions unless He planned to spare him. But 6:17 —besides reprising YHWH’s intentions a second time—adds that He informed Noah that He was going to use the Mabbûl of water to carry out His judgment.21 Then Noah knew why the waterproofing. Notwithstanding, all flesh and all which is on the land would have sounded rather inclusive. But, finally, YHWH’s words but I shall fulfill my covenant with you and you shall enter the ark ( 6:18 ) would have allayed Noah’s misgivings. The Hebrew verb in 6:18 which is translated you shall enter, וּבָאתָ, is a Qal wəqatal second masculine singular from the root בוא. 22 In speech about the future, this form usually conveys the future but can function as a sequential imperative23 under certain conditions. For wəqatal to function thus, it must be a second person and follow an imperative or another wəqatal functioning as one.24 But here the preceding verb is a wəqatal first common singular (which speaks of YHWH’s intentions), not a second person form. It is not functioning therefore as an imperative. This means that the verb following it, which is the verb in question, is not a wəqatal functioning as an imperative either and thus is not a type-two vati-chron demanding obedience;25 but rather, it is a type one, specific future pronouncement vati-chron anticipating fulfillment. Nevertheless, this does not diminish its importance, in that this is the first mention that Noah and his family would enter into the ark. We read in verse 6:19 that YHWH had charged Noah to cause all the types of animals (which would have included besides domestic animals, all the wild animal types, bird types, and all the crawling animal types) in male-female pairs to come to the ark so that they could survive the Mabbûl.26 This charge (a Hiphil yiqtol 2ms of בוא ) could be either a specific future pronouncement you shall cause to come or obedience demanded by the modal you must cause to come—but in either case, a humanly impossible task if he had to go out and fetch all those animals! But then we read in verse twenty that YHWH would take care of this: the animals would come to Noah (a specific future pronouncement), apparently by divine prompting. And what is more, they would come in the requisite pairings (another specific future pronouncement). Noah only had to follow through on two immense, but possible tasks: usher all the animals into the ark ( 6:19 ) and gather the food for them and his family ( 6:21 ). The former is construed by a yiqtol, which could be either a specific future pronouncement vati-chron you shall cause to come or an obedience demanded by the modal you must cause to come. The concept of gathering, on the other hand, is conveyed by two verbs, the first of which take is an imperative and thus is a vati-chron demanding obedience, and the second gather is a second person wəqatal functioning as an imperative, because it follows an imperative, and thus is a vati-chron demanding obedience as well. The last verb in this verse is another wəqatal, but in that it is not a second person but a third, it is not functioning as a sequential imperative. Hence, it is a specific future pronouncement vati-chron. Now we move on to scene three of Episode One: YHWH’s Third Speech, which was the second and last to Noah before the Flood. Paragraph one is where we first encounter substantive chronological data, which is that according to YHWH’s warning to Noah, the Mabbûl would begin in seven days ( 7:4 ). Since Moses tells us in 7:11 exactly when the Mabbûl began, in the six hundredth year of Noah’s life, in the second month, on the seventeenth day of the month (i.e., on 600/2/17), we need only count back seven days to discover when YHWH delivered this speech to Noah—on 600/2/10. This scene concludes in paragraph two with a report of Noah’s unconditional, unquestioned, complete obedience, which commences a long narrative spanning 7:5–8:15 in which YHWH is silent. Such a statement of Noah’s total compliance in 7:5 entails the entrance of Noah and his family, which makes this general statement about Noah’s obedience into the original retro-chron reporting compliance with the demanded by imperative vati-chron enter ( 7:1 ). Furthermore, although it is not stated, one can deduce that Noah’s causing the animals to enter the ark29 would have occurred by this time as well, based on 7:5 , by following one (or more) of three lines of reasoning. The first centers on YHWH’s assessment of Noah found in 7:1 (which bolstered that of the narrator earlier in 6:9 ), that he was righteous. YHWH commanded Noah and his family to enter the ark, in effect granting them permission to enter, because of this evaluation. This assessment, which was based on Noah’s collective compliance to all YHWH had commanded him to do, might provide evidence that YHWH’s statement about loading the animals (recorded in 6:19 ; 7:2 ) was modal (must rather than shall)—or at least—Noah thought it was. If Noah had interpreted this statement as modal, he would have felt compelled to load the animals, because he was a righteous man, and then doing so would have further demonstrated his righteousness thereby. The second line of reasoning, likewise, involves Noah’s righteousness. Even if the forms did not have modal force (that is shall rather than must), Noah would have loaded the animals by this time, due to the fact that, being a righteous man, he would not have entered the ark until he had discharged his duty with respect to the animals. And the third—and this is a matter of logic—Noah and his family must have loaded the animals before their final entry, because how could they have done so after this? In any case, this implied entry would then be the original retro-chron for the entry of the animals.30 Thus, this would indicate that by this time Noah, his family, and all the animals were safely ensconced in the ark and all the food needed to sustain them during the entire duration of the Flood event was carefully stored on board. But these realities are not explicitly expressed; they are merely implied by the statements of Noah’s obedience and deduced from our acknowledgement of his character and from plain logic. Moreover, we do not know when Noah entered with respect to the coming of the Mabbûl. In Episode Two, however, we shall see the explicit statements of these entries and discover when they happened. Notwithstanding, we need to point out that the reports in Episode Two of these entries reprise the originals. As we turn to Episode Two, then, The Transgression of the Water, and consider Scene One, The First Linkage of the Flood to Historical Time, I must first comment on the convention used to express Noah’s age. When the expression reporting Noah’s age at the time of the coming of the Mabbûl is considered together with the fact that the Mabbûl began in the 600th year of his life ( 7:11 ), it is clear that Noah’s age is indexed to the end of that year (in contrast to our convention to index the beginning of the year when giving a person’s age); that is, Noah had not yet completed the 600th year of his life. In addition, because we cannot assume that the calendar years correspond to Noah’s years, we cannot ascertain exactly when within his 600th year the Mabbûl began. Notwithstanding, two chronological limits obtain:31 it could not have happened either so early that the fourth fixed date would occur in his 600th year (which would contradict 8:13 , that it occurred in his 601st year) or so late that its end was within his 601st year (which leads to a contradiction with 9:28 , because 601 plus 350 equals 951, not 950). Here we find the original retro-chron report of the historical actualization of the Mabbûl: When Noah was six hundred years old the Mabbûl came, which was water upon the earth ( 7:6 ). Up to this point in the Flood account the Mabbûl was in the future from Noah’s perspective and, consequently, the verbs were predominantly vati-chrons, which look ahead to either fulfillments or compliance. After this point, however, the verbs from 7:6 through 8:14 are either ipse-chrons or retro-chrons, with the former representing mere actualizations of states or events and the latter representing both these and reports of fulfillments or compliance, and, thus, looking back to the corresponding vati-chrons. We also find here the third mention of Noah and his family entering the ark ( 7:7 ). Previously in the text their entry was tacitly understood to have taken place, in that Noah’s obedience spoken of in 7:5 would of necessity have included compliance with YHWH’s command to enter the ark ( 7:1 ), but now it is directly stated to have occurred. The verb form וַיּבֹאו (Noah [and his family]) entered (into the ark) (Qal wayyiqtol third masculine plural from the root ב וא) in 7:7 is a retro-chron reprising the one implicit in 7:5 . Both refer back to the obedience demanded by the imperative vati-chron בֹּא (Qal imperative masculine singular from the same root) enter found in 7:1 , which was YHWH’s command to Noah to enter the ark. Not only is the actual entry of Noah and his family recorded here, but also so is the parade of animals streaming to Noah in pairs for him to cause them to enter the ark ( Genesis 7:8–9a ), specifically in the retro-chron בוא) בָּאוּ Qal qatal third common plural) entered, as the fulfillment of the corresponding specific future pronouncement vati-chron יָבֹאו (Qal yiqtol third masculine plural from the same root) shall enter (in 6:20 ). As was argued above, this is likely a reprise of the entry of the animals, which is implied in 7:5 . YHWH had charged Noah with selecting seven pairs of clean animals (most likely, from his flocks and herds), collecting the food for them, and causing all the animals to enter the ark, but YHWH himself had to cause the wild animals, creeping things, and birds to come to Noah. When the animals came to Noah, they were being obedient to their Creator, which was the penchant of Noah. At that point Noah could fulfill his responsibility. So, Noah’s causing them to enter the ark would have been a fulfillment of the specific future pronouncement vati-chrons בוא) תׇּבִיא Hiphil yiqtol second masculine singular from the same root) you shall (or must) cause to come (or enter) from 6:19 and תִּפַּח (Qal yiqtol second masculine singular from the root לפח ) you shall (or must) take (in 7:2 ). In the same way, gathering the food to sustain them and his family would have demonstrated Noah’s compliance with the obedience demanded by imperative vati-chrons פַח (Qal imperative masculine singular from the same root) take of 6:21 and וְאָסַפְתּ (Qal wəqatal second masculine singular from the root אספ, functioning as an imperative, because it follows an imperative) gather from 6:21 —this time in 7:9b . Now it is time to examine scene two of episode two, The Flood Onset Complex. First we focus on the paragraph concerning the coming of the water, paragraph one, which furnishes fine detail of the onset of the Mabbûl. It gives particulars, for example, the exact day the Mabbûl began ( 7:11a ); whereas, the previous scene only supplied general information (e.g., that the Mabbûl came in Noah’s 600th year of life). In addition, it describes the sources for the water of the Mabbûl ( 7:11b ). Unlike is the case with the retro-chron in 7:10a , the one in 7:10b is not the first report of the coming of the water but a restatement of the original retro-chron found in 7:6b . Moreover, this restatement retro-chron is the second reprise of retro-chrons concerning the Mabbûl, the first reprise being at the end of 7:7 . The effect is that all three retro-chrons refer back to the original specific future pronouncement vati-chron in 6:17 and to the later vati-chron about the coming of the rain in 7:4a . The depiction of the two sources of the water of the Mabbûl in 7:11b , which alludes to its originating mechanisms, is clearly a poetic bi-colon.37 This is evident from its 4:3 chiastic structure with inchoative Niphal qatal 3cp at its antipodes and the figuratively described sub-terranean and atmospheric sources of the water at its center. The genre switch from prose to poetry marks the actual moment the Mabbûl began. The verbs seem to depict instantaneous change of state.38 Plainly, these verbs are ipse-chrons, because YHWH gave no such particulars earlier as specific future pronouncement vati-chrons. Nevertheless, it cannot be denied that they are also retro-chrons, specifically, the third reprise of the coming of the Mabbûl—although now more exactly defined. Now we focus on paragraph two of the Flood Onset Complex scene, which comprises the final reports of the entries of Noah, his family, and the animals into the ark before YHWH seals them all in for safekeeping. This paragraph, in addition, gives us the first fixed date pertinent to the Flood, the exact date it started. Nevertheless, this information is not uncomplicated. First of all–as stated above—it must be emphasized that although the year the Flood onset occurred is given relative to the years of Noah’s life, we cannot assume that the months and days have the same reference.41 Secondly, we do not know how many days are in the months mentioned here, how many days are in a year, or even how many months are in the year mentioned here.42 Thirdly, the date citation year/month/day is most atypical.43 Notwithstanding, the text is obviously becoming more specific about the timing of the Flood not only in that it gives us the date, but also that it emphasizes that this was the day it began (בַּיּוֺם הַזֶּה). We are looking here at the fourth and last description of the entry into the ark of Noah and his family. The first is purely prospective in nature: YHWH’s specific future pronouncement vati-chron in 6:18 , which is not explicitly reported until 7:7 . The second is an implied realization in the retro-chron in 7:5 , which is coupled to the obedience-demanded-by-imperative vati-chron in 7:1 . The next two are also retro-chrons: the one in 7:7 being an explicit report of the entry, and yet only a reprise of the entry; and here, a reprise of that report and the second reprise of the original account of the entry. They are not rote repetitions; but rather, each time new information is given. In this case the entry is viewed from the perspective of its timing. For the first time we learn that the humans’ entry into the ark coincided with the beginning of the Mabbûl, and so we know exactly when they embarked. Moreover, this is the fourth listing of Noah’s family, and again—except for one commonality, that each begins with a reference to Noah—each one is different: different orders, different details, etc. In 6:18b Noah’s sons are listed before his wife and their wives conclude the list. In 7:1 none of the family are listed; all are subsumed under the designation ‘all your household’. 7:7 has the same members and order as the first mention, but substitutes “his” for “your.” Finally, here we have the most complete listing: Noah’s sons are named, their wives are denoted as the three wives of his sons, and Noah’s name appears two additional times besides its use as the first substantive in a compound subject. Similarly, the coming of the animals to the ark and their entry into the same is also described here for the final time of six. The first of these, which concerns Noah’s responsibility to cause the animals to enter the ark (in 6:19–20a ), is a specific future pronouncement vati-chron. The second is a Divine pronouncement about what the animals will do: come to Noah to be saved ( 6:20b ). The third occasion involves Noah’s responsibility again ( 7:2–3 ). So it is most likely a specific future pronouncement vati-chron. The fourth is an implied retro-chron of the entry, because Noah’s obedience would have included compliance with his responsibility with respect to the animals ( 7:5 ). The fifth ( 7:9 ) and sixth ( 7:15–16 ) are clear retro-chrons. Furthermore, הֵמָּה “they,” referring to Noah and his family, is linked back to 7:13 . This list is also the primary topic of 7:15 . In addition, the key verb in 7:15–16 בוא “enter, come” occurs three times, not just once; it appears in three different forms (wayyiqtol, participle, and qatal); and its occurrences are tightly grouped—the sum total of which indicates that the narrative is coming to a crucial point. Moreover, this sixth time in which specific types of animals are mentioned is the fullest description of the animals (as is the case with the last pre-Flood description of Noah’s family), in that the “wild animals” are mentioned as a separate group. Of course the entry of the animals necessarily temporally preceded the entry of Noah and his family into the ark. Also, note the direct connection with YHWH’s earliest mention of the effect of Him causing the Mabbûl to come: there ( 6:17 ), He made a pronouncement that He would destroy כל בשׂר אשר בו רוח חים all flesh in which is the spirit of life; here ( 7:15b ), He made a provision of escape and preservation of each kind of animal so that pairs from כל הבשׂר אשר בו רוח חים all the flesh in which was the spirit of life came to Noah and entered the ark. As a penultimate observation, we note that in 7:16ab we have the final mention of four of the summary statements of Noah’s obedience to YHWH’s commands. In this and the previous one, the animals’ behavior is linked to Noah’s. And finally, just before we come to description of the course of the inundation of the cataclysm and the sobering intoning of its death toll, there is one last sentence in this paragraph וַיִּסגֹּר יהוה בַּעֲו Then YHWH shut [the door of the ark] behind him. Once Noah and his family were on board the ark, with the animals all settled into their places and the provisions for all long procured secured, YHWH sealed the ark to protect its precious cargo. For the sake of completeness, we observe that this is an ipse-chron, in that YHWH did not previously say that he would do this. In conclusion, I argue that this week witnessed a seemingly endless parade of animals streaming towards the ark in pairs, driven by the internal urge YHWH placed in them to come to the ark and to Noah to preserve their kind. And simultaneously it witnessed a frenetic loading of the animals. And when the loading was completed on the seventh day of the week, Noah and his family entered the ark in the ominous presence of the Mabbûl, in whatever way that manifested itself—maybe even pouring rain upon them. Akagi, K. M. 2014. “The Verbal Tiller: Lexical Semantics of Verbs as a Factor in Sequentiality—Temporal Progression at the Micro-level.” In Grappling with the Chronology of the Genesis Flood: Navigating the Flow of Time in Biblical Narrative. Edited by Steven W. Boyd and Andrew A. Snelling, 365–443. Green Forest, Arkansas: Master Books. Anderson, L. Jr. 2014. “Sounding the Structural Depths: Theme Tracing and the Segmentation of the Narrative.” In Grappling with the Chronology of the Genesis Flood: Navigating the Flow of Time in Biblical Narrative. Edited by Steven W. Boyd and Andrew A. Snelling, 639–704. Green Forest, Arkansas: Master Books. Blau, J. 2010. Phonology and Morphology of Biblical Hebrew. Linguistic Studies in Ancient West Semitic 2. Winona Lake, Indiana: Eisenbrauns. Boyd, S. W. 2014a. 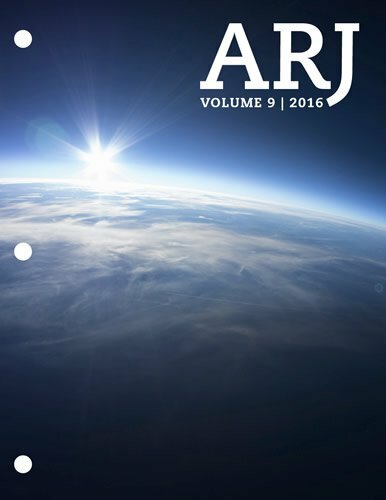 “Defending History: Temporal Reasoning in Genesis 2:7–3:8.” Answers Research Journal 7: 215–237. Boyd, S. W. 2014b. “Tacking with the Text: The Interconnection of Text, Event, and Time at the Macro-level.” In Grappling with the Chronology of the Genesis Flood: Navigating the Flow of Time in Biblical Narrative. Edited by Steven W. Boyd and Andrew A. Snelling, 445–607. Green Forest, Arkansas: Master Books. Cassuto, U. 1934. La Questione della Genesi. Firenze: F. Le Monnier. Cassuto, U. 1997. A Commentary on the Book of Genesis, Part II: From Noah to Abraham. Translated by Israel Abrahams. 1964. Reprinted, Jerusalem: The Magnes Press. Cook, J. A. 2012. Time and the Biblical Hebrew Verb: The Expression of Tense, Aspect, and Modality in Biblical Hebrew. Linguistic Studies in Ancient West Semitic 7. Winona Lake, Indiana: Eisenbrauns. Goldfajn, T. 1998. Word Order and Time in Biblical Hebrew Narrative. Oxford: Oxford University Press. Joosten, J. 2012. The Verbal System of Biblical Hebrew: A New Synthesis Elaborated on the Basis of Classical Prose. Jerusalem: Simor Publishing. Koehler, L., and W. Baumgartner. 2001. The Hebrew and Aramaic Lexicon of the Old Testament. 2 vols. Revised by Walter Baumgartner and Johann Jakob Stamm. Translated and edited by M. E. J. Richardson. Leiden, Netherlands: Brill. Longacre, D. G. 2014. “Navigation Points in Text: Methodological and Linguistic Preliminaries for the Study of the Semantic, Syntactic, and Discourse-Pragmatic Functions of ויַהְִי in Biblical Hebrew Narrative.” In Grappling with the Chronology of the Genesis Flood: Navigating the Flow of Time in Biblical Narrative. Edited by Steven W. Boyd and Andrew A. Snelling, 705–738. Green Forest, Arkansas: Master Books. Stroup, T. L. 2014a. “The Charybdis of Morphology: The Sequentiality of Wayyiqtol?” In Grappling with the Chronology of the Genesis Flood: Navigating the Flow of Time in Biblical Narrative. Edited by Steven W. Boyd and Andrew A. Snelling, 299–363. Green Forest, Arkansas: Master Books. Stroup, T. L. 2014b. “Reading the Literary Currents: The Complexity of Hebrew Narrative and Modes of Discourse— Temporal Progression at the Mega-level.” In Grappling with the Chronology of the Genesis Flood: Navigating the Flow of Time in Biblical Narrative. Edited by Steven W. Boyd and Andrew A. Snelling, 609–635. Green Forest, Arkansas: Master Books. Von Soden, W. 1981. Akkadisches Handworterbuch. Vol. 3. Wiesbaden, Germany: Harrassowitz Verlag. Wehr, H. 1977. Arabic-English Dictionary. 3rd ed. Edited by J. M. Cowan. Ithaca, New York: Spoken Language Services. Akkadian. The ancient language of the empire of Sargon the Great, the Babylonians, and the Assyrians, which is the oldest Semitic language and constitutes the eastern branch of those languages. It is written in a logographic/syllabic cuneiform script borrowed from the Sumerians. Aramaic. A widely used Northwest Semitic language, which became the lingua franca (the international language of trade, culture, and diplomacy of a time period) in the Neo- Assyrian and Neo-Babylonian empires and is still spoken today in isolated pockets in Lebanon, Syria, and Iraq. A half verse in Genesis, a verse in Jeremiah, a chunk of Ezra, and almost half of Daniel are written in this language, not in Hebrew. bi-colon. A poetic line with two parts, such as Praise YHWH all nations. Extoll Him all peoples ( Ps 117:1 ). causative. The primary function of the Hiphil stem, which conveys the subject of a sentence causing someone to do something. chiasm. A literary structure in which the corresponding members are opposite from each other, for example: a b c d e e d c b a or a b c d e d c b a.
coherence relation. A semantic relationship between the eventualities represented by verbs or verb phrases. For our purposes we have identified four: serialation, result, contrast, and elaboration. For example in Genesis 1:3 “Let light be” is followed by “and light was.” The latter is the result of the former, a fiat of God. So we say that the coherence relation is result. dischronologization. A departure in narrative sequence, i.e. the order in which a narrative relates a set of events, from temporal sequence, i.e. the actual order in which those events occurred. dynamic, dynamicity. The property of a verb or verb phrase concerned with the portrayed occurrence of action. A dynamic verb phrase, such as “The dog jumped into the pool,” describes action taking place, whereas a non-dynamic verb phrase, such as “The clock stood on top of the desk,” describes a state with no specified action. elaboration. The coherence relation in which eventualities depicted by a group of verbs take place in the same time interval as that of the eventuality represented by the verb that precedes the group. For example, “Carl had a great morning [an introductory encapsulation]. His wife made the family bacon and eggs. There was little traffic driving into the office. His secretary had a pot of coffee waiting for him. His cranky first client cancelled his appointment.” See introductory encapsulation. Hiphil. The most common derived verb stem in BH, occurring in about thirteen percent of verbs. Morphologically it is characterized by having a preformative h, which in regular verbs, is followed by an a-class or i-class vowel. This stem is primarily a causative, and as such, adds a direct object. For example, the stem of the verb (italicized) in “Pharoah has seen what God is about to do (direct object)” is Qal, but in “God has caused Pharaoh (direct object) to see what He is about to do (direct object),” the stem is Hiphil. For extensive discussion see my chapter, “The Binyanim,” in Where is Wisdom to be Found, edited by Benjamin J. Noonan, Jennifer E. Noonan, and Hélène Dallaire (Winona Lake: Eisenbrauns). Hophal. Passive stem of the Hiphil. iconic, iconicity. Resemblance of form to meaning; with regard to temporal relationships in narrative, correspondence between the order situations appear in a narrative and the order in which the narrative presents the occurrence of those situations. Iconicity is a term from Peircian semiotics (the science of signs), which signifies that a word, phrase, clause, or concept resembles what it means. For example in Psalm 29, “the voice of YHWH,” which in the psalm refers to thunder, is repeated many times, thereby resembling the rolling peal of thunder. imperative. The Hebrew verb form which conveys commands. inchoative. Entering into a state of being. inclusion. A literary structure in which the beginning and the end are the same—like a pair of bookends. intercalary, intercalation. The insertion of days or months in the calendar to keep the seasons from drifting in the year. interchange. A literary structure in which there is a switching back and forth—like a zebra’s stripes, for example: abababab. introductory encapsulation. A verb representing an eventuality that subsumes a series of eventualities, which elaborate on the whole. For example in Genesis 37:5–7 , “Joseph dreamed a dream and told it to his brothers and they hated him even more,” is an introductory encapsulation, which is followed by the elaboration: “He said to them, ‘Please listen to this dream I have dreamed,’” after which he regales them with the content of the dream. See elaboration. ipse-chron. An isolated event or state in time, which neither refers to a future fulfillment or compliance retro-chron nor looks back at a specific future pronouncement or obediencedemanded- by-imperative vati-chron. Mabbûl. The period of the transgression of the water, which lasted forty days. micro-level. Pertaining to the semantic characteristics of individual verbs and verb phrases. modal. A function of the Hebrew verb form yiqtol, which expresses must, should, could, would, etc. morphology. For BH it pertains to the form of a word, which indicates various grammatical functions, for example, tense, person, gender, number, etc. for verbs. Niphal. The derived verbal stem in BH, which is characterized by having a preformative n in all forms. Approximately 5.65% of verbs are in this stem. Niphal conveys middle or passive voice. For example, whereas the Qal of a root meaning “open,” conveys active grammatical voice, as in “he opened the door,” the Niphal would be used for a sentence with middle voice, such as, “the door opened.” Or, if the root is “bury,” the Qal would be used in “they buried the king,” but the Niphal would be “the king was buried.” For extensive discussion see my forthcoming chapter, “The Binyanim,” in Where is Wisdom to be Found, edited by Benjamin J. Noonan, Jennifer E. Noonan, and Hélène Dallaire (Winona Lake, Indiana: Eisenbrauns). preterite. The primary narrative verb form of a language. In BH it is the wayyiqtol. Qal. The ground verb stem in BH. Approximately 69% of verb occurrences in BH are in this stem. This stem occurs with active/transitive (active verbs with a direct object, e.g. “hit”); intrasitive (active verbs of motion, e.g. “ascent”) stative transitive (verbs of perception, cognition, and emotion— which take a direct object, e.g. “see”); and stative verbs, e.g. “be heavy.” For extensive discussion see my forthcoming chapter, “The Binyanim,” in Where is Wisdom to be Found, edited by Benjamin J. Noonan, Jennifer E. Noonan, and Hélène Dallaire (Winona Lake, Indiana: Eisenbrauns). qatal. An indicative verb form within the Hebrew verbal system most often used to express the past tense. Compare with the yiqtol. regression (geological). The retreat or contraction of the sea from land areas and the consequent evidence of such withdrawal due to a fall in sea level or uplift of land. retro-chron. The realization/fulfillment of a specific future pronouncement vati-chron or reported obedience to a Divine command vati-chron. root. The sequence of consonants (usually three) which carries the meaning of a word in BH. A word comprises a root and vowels and/or consonants. The combination of vowels and/or consonants (called a pattern) grammatically modifies the meaning of the root. From one perspective every root generates a cluster of words that have the same meaning but grammatically differ. From another, a group of words that have a common meaning will have the same root. For example, “he wrote,” “you will write,” “to write,” “when writing,” “writer,” and “written” all have the same root, the sequence of consonants, k t b.
schematic calendar. A calendar with thirty-day months, and as a result a 360-day year, which requires the insertion of five intercalary days. septenary calendar. A calendar with exactly fifty-two weeks, and as a result a 364-day year, which requires the insertion of at least one intercalary day. situation aspect. The kind of aspect associated with semantic properties of verbs and verb phrases rather than formal marking. Two verb phrases, such as “The hare ran the race.” and “The hare won the race,” although syntactically identical, differ in situation aspect in that their temporal properties differ; the latter verb phrase is telic, that is, includes an inherent endpoint associated with a change of state (the state of the hare having won the race), whereas the former is not. For further discussion see my forthcoming chapter, “The Binyanim,” in Where is Wisdom to be Found, edited by Benjamin J. Noonan, Jennifer E. Noonan, and Hélène Dallaire (Winona Lake, Indiana: Eisenbrauns). stative, stativity. Pertaining to a non-dynamic situation; states may be subcategorized as atelic states, transitory states, and point states. An atelic state is durative and atelic (e.g. “Their house is beautifully nestled between two hills”); a transitory state, while also durative, is telic, that is, has an inherent endpoint at which the state ceases (“We were anxious until the package arrived”); and a point state is non-durative, obtaining only instantaneously, but also telic (“It was 7:15 p.m. when the gentlemen walked through the door”). topic. The element of a proposition which the proposition is about, i.e. the presupposed referent to which the newly asserted information adds. Within a narrative, topic is evidenced and advanced by the means of a topic expression. transgression (geological). The spread or extension of the sea over land areas and the consequent evidence of such advance, such as strata deposited unconformably on older rocks, especially where new marine deposits are spread far and wide over the former land surface due to a rise in sea level or the subsidence of the land. transitory state. A situation aspect class represented by [– dynamic][+ telic][+ durative]. It may also refer to a state type defined by William Croft and corresponding to a stage-level state. Ugaritic. An ancient Northwest Semitic language used in what is now northern Syria up to 1200 BC, which bears linguistic affinities to Hebrew. The texts written in this alphabetic cuneiform script also give us valuable insight into Canaanite religion and culture. vati-chron. A specific future pronouncement or an obedience-demanding imperative, which looks forward to a corresponding future fulfillment retro-chron or report of compliance retro-chron, respectively. ויַהְְי (Wayhî). A Qal wayyiqtol 3ms from the verb היה , hyh “to be, to become,” which has important roles in discourse (above the level of the sentence). wayyiqtol. A clause-initial indicative verb form within the Hebrew verbal system, which is inflected for person, gender, and number. It is most often assumed to indicate temporal sequence, but more likely functions as the waw initial simple past tense, forming the “backbone” of a narrative. Although it is not sufficient to indicate temporal progression, it appears that its presence is necessary for it to be conveyed. wǝqatal. A clause-initial indicative verb form within the Hebrew verbal system, which functions as an iterative (or habitual) past or future tense equivalent of the wayyiqtol. yiqtol. An indicative verb form within the Hebrew verbal system most often used to express the future tense or past iterative (or habitual) action. Compare with the qatal. Few would dispute that the most extraordinary weeks were Creation Week and our Lord’s Passion Week. The term מַבּוּל Mabbûl is a noun with a prefixed מ (which indicates place, means, or abstract), which is most likely connected with the root יבל. In BH it occurs in the Hiphil meaning “bring” (e.g., Isaiah 23:7; Jeremiah 31:9; Psalm 60:11; 68:30; 76:12; 108:11; Zephaniah 3:10 ) and in the passive Hophal meaning ‘brought’ (e.g., Isaiah 18:7; 53:7; 55:12; Jeremiah 11:19; Job 10:19; 21:32; Psalm 45:15 ). The Semitic root b/w/ybl is well attested. It occurs in Ugaritic and various Aramaic dialects with the same meaning as in BH (cf. Koehler and Baumgartner 2001). In Akkadian it is (w)abālu, babālu, tabālu “carry, bring” (von Soden 1981, 1450a–1452a). With wind and water it is “carry off, sweep away” (von Soden 1981, 1451b–1452a). In Arabic the verb wabala is “shed heavy rain” and the related noun wablu is “downpour” (Wehr 1977, 1046). All of this suggests that Mabbûl means “that which carries away, that which sweeps away”. Although it is theoretically possible that after X, where X is an interval of time, could mean after the beginning of X, usage indicates that it means after the end of X. E.g., certainly After these things in Genesis 22:1 refers to the end of all the circumstances related previously in the text which earlier confronted Abraham, not to some midpoint or their commencement, and specifically, to the aftermath of Abraham expelling Hagar and Ishmael into the wilderness. And the genealogical records in Genesis 5 only work if the year a patriarch engendered his son is the total years of his life up to that point, because the years are added up to give the total. This assumes that Genesis 7:17a is an ‘introductory encapsulation’ and 17b–24 is an elaboration of what happened during these 40 days, as I have previously stated (see Boyd 2014b, 508, n. 40; for further clarification and not a few biblical examples see 508–518), and which is consonant with the introductory ויַהְִי and temporal “forty days” that the היה is stative, not dynamic. Longacre concurs in his forthcoming chapter, stating “As in 7:12 , it may be tempting to analyze this use of the copula as dynamic, but a simple stative usage is rather suggested by the extended period of time suggested by the temporal modifier יום ארבעים. 7:17 begins a new paragraph with a summary statement anticipating the subsequent contents of the paragraph, which describe in detail the nature of the flood while it was on the earth for 40 days. This first sentence of 7:17 then serves to orientate the reader for properly understanding its paragraph” (“The Discourse-Pragmatic Functions of the Use and Non-Use of היה in the Genesis Flood Narrative” to appear in Grappling with the Chronology of the Genesis Flood, Book Two: Riding the Temporal Currents of the Deluge Narrative, edited by Steven W. Boyd and Andrew A. Snelling [forthcoming]). In terms of situation aspect theory, this is a Transitory State; For a discussion of the possible significance of ויַהְִי , see Longacre (2014). And for how היה in all its forms functions in the Flood narrative, see Longacre’s aforementioned forthcoming chapter. The first being death, pain in childbirth, and the curse upon the ground because of the Fall ( Gn 2:16–17 ; 3:16–19 ). I.e., year of Noah’s life/month/day of the month. Joshua Blau strongly argues against sequential wayyiqtol: “we reject the pretentious name ‘consecutive waw’” (Blau 2010, 189–90), as does Tal Goldfajn (1998). John Cook (2012, 289–98) discusses exceptions to sequentiality of wayyiqtol. Moreover, Jan Joosten challenges iconic wayyiqtol (2012, 166–75). For the most thorough arguments against iconic wayyiqtol and many counter examples, see Thomas Stroup (2014a). I adduce more than a few examples as well in my chapter 12 in Grappling with the Chronology of the Genesis Flood (Boyd 2014b). In addition, Jan Joosten reacted to my chapter (which I sent to him for review) as follows: “The chapter, and the book as a whole, will establish beyond reasonable doubt that wayyiqtol does not express temporal succession.” Furthermore, I sent about 12 pages of examples of sequential wayyiqtols (which appear in an appendix to my chapter 12) to two linguists, Susan Rothstein and Alice ter Meulen. They concluded that the w-form did not convey temporal sequence. Another reviewer who embraced iconic wayyiqtol conceded that there were approximately 10% violations—that’s about 1500 exceptions! Then how can we explain the 90%? The answer is that since wayyiqtol is the backbone narrative form, that is, it is a preterite, and narratives tend to be iconic (see Ricoeur’s comments on the linearity of narrative), a large majority will be iconic. But, wayyiqtol does not mark sequentiality. That idea is from Heinrich Ewald and S. R. Driver. It should be overturned, but the stature of Ewald and Driver has perpetuated it. For further discussion of this phenomenon (and, incidentally, more examples of non-iconic wayyiqtol) see my article “Defending History” (Boyd 2014a). Sequentiality of events must be determined semantically, not morphologically: on the micro-level by considering the situation aspect of individual verbs (Akagi 2014), on the macro-level by considering coherence relations, compatibility, connection, and continuity between verbs (my aforementioned chapter 12 in Grappling with the Chronology of the Genesis Flood), and finally on the mega-level by considering the larger factors which might disturb the chronologization of the narrative as a whole (Stroup 2014b). Because of the linear nature of texts, simultaneous events must follow one another in a text. For example, even though it is quite possible for an eight-year-old named Bob to whistle and walk at the same time, if we want to express these in a sentence, they must be in sequence, yielding Bob whistled and walked to school. We should not assume, when confronted with such a sentence, that the events are sequential, if they are compatible actions. See my chapter 12 in Grappling with the Chronology of the Genesis Flood (Boyd 2014b) for a fairly extensive discussion of these issues; dischronologization is seen where the order of verbs differs from the order of situations they portray. For example, imagine the following scenario: Al pushed Bob, which caused Bob to fall down. This could be conveyed by a sentence with the verbs in the order of events, as in Al pushed Bob. Bob fell down, with the first reported action causing the second reported action. Or the scenario could be conveyed by the dischronologized sentences Bob fell down. Al pushed him, in which the second reported action is the cause of the first reported action. Among the other large scale chiastic structures in the overall narrative, the most obvious is the arrangement of the time intervals: 7 40 150 150 40 7, with God remembered Noah sandwiched between the two 150s. Cassuto (1934, 336–37) discusses 13 such duplications. He refers to 6:10 as a “ganz frisch” (i.e., entirely fresh) repetition of 5:32b , as if we have not seen this before; the sequence (1) the coming of the Mabbûl, (2) Noah entering the ark, (3) the animals arriving and entering the ark occurs three times. Noah was a righteous man . . . with God walked Noah in 6:9 is an example of a small scale inclusio. The building blocks of structure is not limited to lexemes. The description of the sub-terranean and atmospheric sources of the Mabbûl begins and ends with Niphal qatal 3mp verbs. The syntactic structure of 6:17 I even I am about to cause the Mabbûl to come is found again in 9:9 I even I am about to cause my covenant to be fulfilled with you. For example, in 7:17b–20 the subject switches from volume of water to effect on the ark to power of the water and then repeats, and concludes with volume, power, volume. In addition to 7:17a either God remembered Noah (from 8:1a ) or The water began to subside ( 8:1b ) is an introductory encapsulation, with the subsequent verses being an elaboration. For an exhaustive study of the structures of the Flood narrative, see Andrew Felts’s forthcoming chapter in Grappling with the Chronology of the Genesis Flood, Book Two. This is progressive revelation on the micro level. The three terms are derived from Latin and Greek: from Latin: vati referring to the future, retro referring backward, and ipse referring to itself; and from Greek: chron referring to time. Isolated infinitive absolutes can also function as strong imperatives, but they do not occur in our text. Multiple retro-chrons referring to the same vati-chron is not just what we would expect in light of the parallel panel structure of the account which we discussed above, as if the latter caused the former. On the contrary, this recurring phenomenon is, in fact, responsible for the aforementioned structure. Although this method explained above and illustrated below was designed to study the chronology of the Flood, it could be successfully employed in any chronological analysis of Scripture. This breakdown of the overall narrative draws on the analyses by Cassuto (1997) and Anderson (2014), which employ structural considerations and theme tracing, respectively, and adds to these discourse analysis and finer lexical, syntactic, morphological, and phonological considerations; thus, taking the divisions down another level or two. There is one caveat, however: these lower levels of paragraphs and even sub-paragraphs are more open to debate than the upper levels of episodes and scenes. Notice the progressive revelation from verse seven to verse 17—and all within the same speech! “To come” or “to enter” is a key verb in the narrative from Genesis 6:18–7:16. That is, a command meant to be executed after the preceding one. A chain of second person wəqatals must be preceded by an imperative to function imperativally. Although later YHWH will command Noah and the rest to enter (7:1). The purpose for the somewhat awkward circumlocution to cause . . . to enter is to emphasize the causative force of the Hiphil stem and to show the presence of the key word, which is disguised in the translation bring in. Thus, the next time the text has a report of Noah’s obedience to everything YHWH had commanded him to do (which is in 7:5 ) implies that he and his family had entered the ark at that point. These are the specific future pronouncement vati-chrons you shall [or must] cause to enter ( 6:19 ) and you shall [or must] take ( 7:2 ). Why is not 6:22 the original vati-chron, one may ask? Could not these three lines of reasoning be applied to it? And the answer is: of course they could—were it not for the fact that YHWH gave Noah instructions concerning loading the animals after this. The situation is that there are two sliding chronological scales: one with the ages of Noah; the other with the months and days. E.g., fear: Genesis 45:3; Exodus 9:30; 10:3; awareness: Exodus 23:21; respect: Leviticus 19:32; Numbers 22:3 (2×); Deuteronomy 1:17; 2:25; 5:5; 7:19; 9:19 [anger of YHWH]; etc. Genesis 6:13; 27:46; 36:7; 41:31; 47:13; Exodus 1:12; 3:7; 8:20; 9:11; 19:18; Leviticus 26:37; Numbers 32:17; Deuteronomy 28:20. E.g., hiding: Genesis 3:8; 4:14; Deuteronomy 7:20; fleeing: Genesis 16:6, 8; 35:1, 7; Exodus 2:15; 4:3; 14:25; Numbers 10:35; rise, stand up: Genesis 31:35; turning aside: Numbers 22:33; walking, going, journeying: Genesis 36:6; Exodus 14:19; Numbers 20:6; 33:8; Deuteronomy 20:19; removal, dispossession: Exodus 23:29–31; 34:11; 34:24; Leviticus 18:24; 20:23; 26:10; Numbers 32:21; 33:52, 55; Deuteronomy 4:38; 6:19; etc. Notwithstanding the likelihood grounded in usage that the Mabbûl was actually present when Noah was boarding, this conclusion must be weighed against the theological issue of whether the righteous ever experience any of the peripheral effects of Divine judgment meant for the unrighteous. Moreover, if it was present, in what capacity was it present? In other words, what aspects of the water of the Mabbûl would they have experienced? Torrential rain? Tsunamis? Other? Would preternaturally menacing clouds have gathered at the onset of the Mabbûl or not? Perhaps not, considering that Jesus said that they did not know when the Flood was coming ( Matthew 24:36–39, esp. 39; Luke 17:27 ). Certainly, if they had, would not men have known that something was going to happen? See Longacre’s analysis of these two verbs in Grappling with the Chronology of the Genesis Flood, Book Two (forthcoming). Almost everyone recognizes the poetic nature of this part of the verse. Nevertheless, this is a qualitative assessment. A quantitative one is needed, which will appear as a collaborative effort of Daniel Wilson, myself, and a data analytics specialist in Grappling with the Chronology of the Genesis Flood, Book Two (forthcoming). In situation aspect terms this would be called an Achievement. I.e., narrative followed by a snippet of poetry and then a return to narrative to punctuate the narrative at poignant points. Here, it highlights the specification of the sources of the Mabbûl. The ויַהְִי is stative not dynamic because of the temporal phrase ארבעים יום וארבעים לילה forty days and forty nights, which follows על הערץ upon the land/earth. For further discussion see Longacre’s chapter in Grappling with the Chronology of the Genesis Flood, Book Two (forthcoming). Thus, 7:12 should be rendered: And the rain was on the land/earth for forty days and forty nights, not And the rain came upon the land/earth for forty days and forty nights; The text order is event (the mechanisms triggered), state (duration of the rain), event (Noah and his family entered the ark). If the event order matches text order, then Noah entered while it was raining. But the text does not demand this order of events. In fact, the thematic ordering water, Noah, animals likely powerfully structures the text here as well as elsewhere in the narrative. The event order therefore is not certain. What is certain is that the triggering of the Mabbûl, the beginning of the rain, and the entering into the ark all occurred on 600/2/17, because three phrases beginning with the same preposition בְּ occur here: the date . . . בּשְִׁנתַ in the year [six hundred] ( 7:11a ); the sources of the Mabbûl (which suggest the triggering mechanisms) בַּיּוֹם הַזֶּה on this day ( 7:11b ); Noah’s entry into the ark בְּעֶצֶם הַיּום הַזֶּה on this very day ( 7:13 ). And what is more the statement on the duration of the rain is in the middle of them. If the months and days were those of the years of Noah’s life, the Flood calendar would be purely Noahic and entirely inaccessible. There are a number of questions about the calendar. Was it a lunar calendar of 354 days, a solar calendar of 365 days, a septenary calendar of 364 days (52 weeks), or a schematic calendar of 360 days? There are issues of intercalation as well, that is, how are days or months added to make the calendar synchronize with the movement of the earth around the sun so that the equinoxes and solstices do not precess. Also, the provenance of this calendar is in question. Egyptian? Sumerian? Babylonian? Assyrian? Amorite? Aramean? Or “We just don’t have enough data. And the data we have is not old enough [to determine this]” (personal communication from Martin Abegg, one of the foremost specialists on ancient calendars). These and other calendrical issues will be examined in Grappling with the Chronology of the Genesis Flood, Book Two (forthcoming). Not only is the order most uncommon, but also the explicit expression of all the words שָׁנהָ “year,” חדֶֹשׁ “month,” and יוֹם “day” occurs only once in these date citations—at the beginning of the Flood ( 7:11a ).